Fairfax, VA – Doug Bittner owns Dryer Vent Wizard of Northern Virginia, specializing in dryer fire prevention and “urgent response” dryer vent cleaning, maintenance, repair and installation while educating customers about dryer safety and efficient performance. When asked if simply cleaning the lint screen after each load is adequate maintenance, Bittner explains how about 60% of lint removed from tumbling laundry is caught in the lint screen. The rest escapes into the dryer cabinet and dryer duct where it accumulates and blocks air flow. People have asked if the lint could eventually make its way outdoors through the dryer vent. He explains that many people believe this; however, the main function of the dryer vent system is to remove heat and moisture from wet laundry. The moisture causes lint to stick to the sides of the dryer duct where it dries to a hard paste and attracts more lint. Eventually, this leads to a fire hazard. 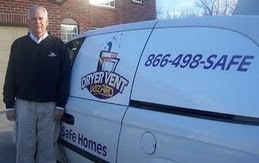 Consumers can enjoy peace of mind by calling Dryer Vent Wizard (http://www.fairfaxdryerventcleaning.com/) for an inspection and service. Proper dryer vent installation using the right material is critical for safety and efficient operation. 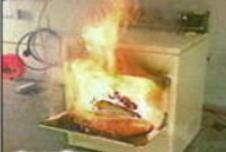 People with newer homes and energy efficient appliances believe they have nothing to worry about. This couldn’t be further from the truth. Bittner explains that many newer homes are built with laundry facilities located upstairs near bedrooms, in the center of the home, rather than on the ground floor near an outside wall. This means the dryer vent is longer with bends and turns and areas that are difficult to access. Doug Bittner has experience with a variety of dryer vent configurations and he carries special tools for reaching the difficult to access areas. When cleaning dryer vents it is important to be able to access every inch. Any area that is missed is an area where lint will accumulate and block air flow. 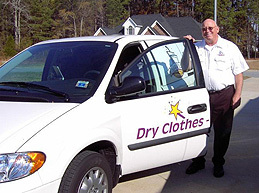 Dryer Vent Wizard is a national franchise with over 60 locations in the US. Their goal is to make the community safer one dryer vent at a time. 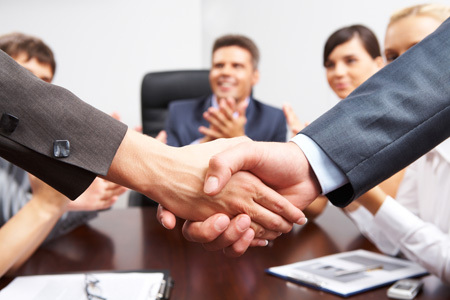 Doug Bittner serves residents and business owners in Northern Virginia, Arlington, Sterling, Fairfax and neighboring cities and communities. Visit http://fairfax.dryerventcleaningnow.com/ to learn more.